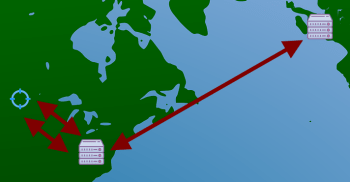 Geo-targeting automatically calculates what capture server is physically closest to the website that is being captured and uses that server to perform the capture. For instance if a website is hosted in United States. It will use servers based in the United States to capture the website. To use this feature you need to be a Business or Enterprise user and not be specifying a country a capture should be taken from and Geo-targeting will be automatically used to speed up your captures. In addition being a Business or Enterprise user means that your captures will also be serviced with a very high priority. This technique of course won’t help with converting raw HTML as this isn’t hosted at a particular location. Or the speed of converting websites like YouTube or Vimeo as these have a global presence anyway.